Image Credit & Copyright: NASA, ESA Hubble Space Telescope. CLICK on the photo for larger view and look below for information and links. This incredible view of globular star cluster NGC 6934 is terrific and it comes from us by way of the iconic Hubble Space Telescope which I’m sure has a better view of this than its discoverer William Herschel did back on September 24, 1785. In fact, he couldn’t even resolve the stars; he referred to it as a “bright nebula”. This hive of a few thousand tightly packed stars lies about 50,000 light years away in the constellation Delphinus (the dolphin). Globular star clusters are the most distant stars in the galaxy, though technically still part of the galaxy, they don’t reside along the plane as most everything else does. Instead, these condensed spheres of ancient stars reside along the galactic halo which you can think of as “above and below” the plane of the Milky Way. 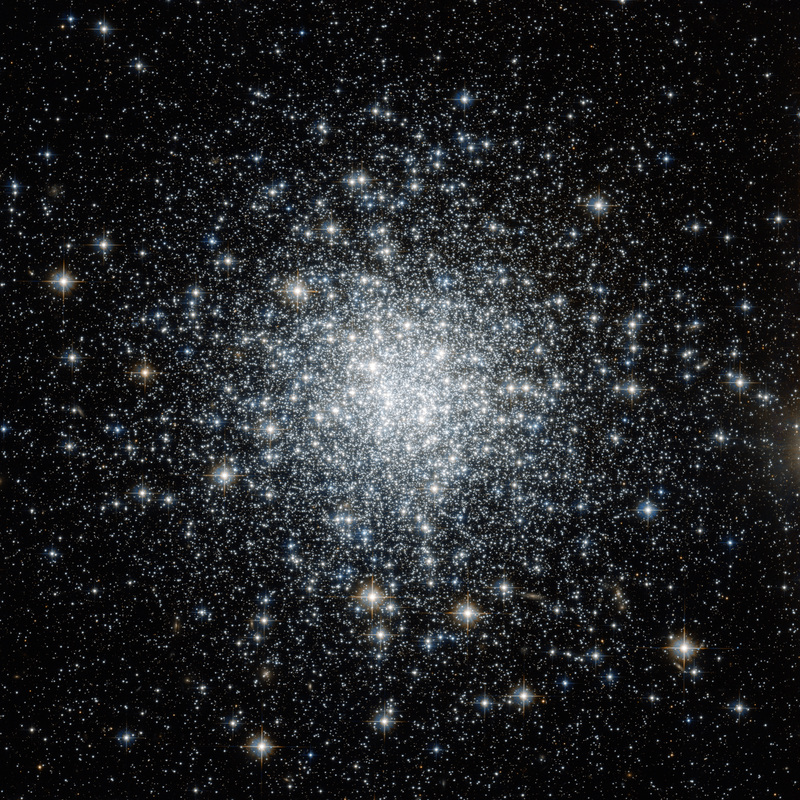 Globular clusters are also extremely old, at roughly 10 billion years old they’re some of the oldest objects in the universe, forming when the galaxy itself was born. Think about that; when this star cluster underwent formation, our solar system was still about 5 billion years away from its own formation. Want to blow your mind even more? When this cluster was formed, the stars that created the material and elements that gave birth to you, me, the Sun, planets and yes the entire solar system were still shining brightly…….The recycled material that we are created from was still firmly in its previous form. HOW FAR AWAY IS IT? : Approximately 50,000 light years. HOW BIG IS IT? 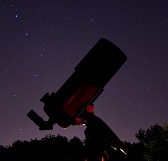 : 7’ arcminutes on the night sky. HOW OLD IT IT? : Roughly 10 billion years old. APPARENT MAGNITIDE? : A binocular view 8.8. WHERE IS IT? (General): Constellation Delphinus the dolphin. WHERE IS IT? (Exact RA/DEC J2000): RA 20h 34m 11.37s / DEC +07° 24′ 16.1″. Image | This entry was posted in Astronomy (Learning), Astrophotography (DSOs), Images, Star Clusters (Globular-Open) and tagged Cosmos, Delphinus, ESA, Globular Cluster, Globular Star Cluster, Hubble, NASA, NGC 6934, NGC6934, Space, Star Cluster, Telescope. Bookmark the permalink.